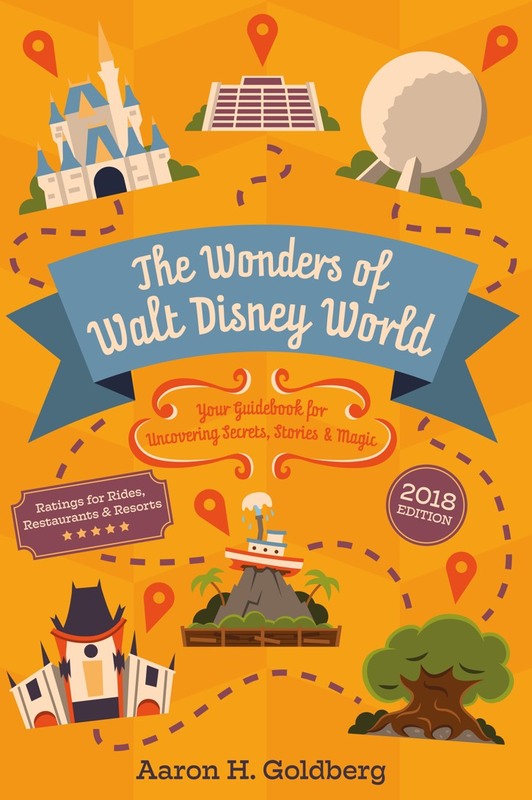 I’ve always wanted a guidebook to Walt Disney World that went beyond the average travel book. You know, one that also delves into the history and details of the parks and resorts. 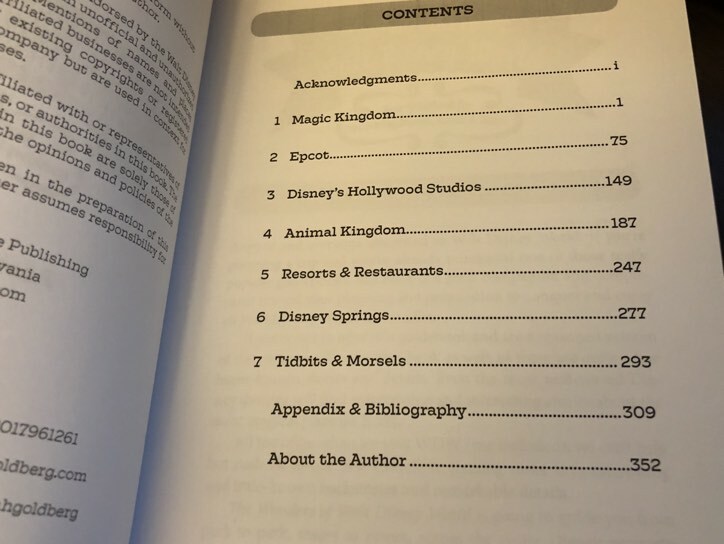 With The Wonders of Walt Disney World: Your Guidebook to Uncovering Secrets, Stories & Magic by Aaron H. Goldberg, we finally have a book that ties so much together in a simple layout that is chock-full of tips, secrets and advice for everyone. You can go from zero to nerd in 350 pages. The book is for first-time travelers to Walt Disney World, seasoned veterans and everyone in-between. Heck, even I learned a few things from Aaron that I haven’t heard before. The Wonders of Walt Disney World features a sublime cover design by Rob Yeo. So, Aaron offers a guidebook that covers every attraction, restaurant and shop in all of Walt Disney World. Nothing new, except how he treats the subject. Aaron has a great style that is easy to read and he seasons the text with tidbits like hidden Mickeys and hidden details. It’s obvious that Aaron has a real love for the resort and wants to make sure that you enjoy your visit. The end of each chapter, or park, basically, is a re-print of Trip Advisor reviews and ratings. At first, this through me off, but I realized that this was a pretty great service to provide the readers, because the Trip Advisor reviews offer more depth and commentary. It’s a quick way to look at attractions and restaurants, at-a-glance, and decide on what to do. There are photos and maps in The Wonders of Walt Disney World that help tell the story. I’m sure that Aaron would be the last person to call himself a professional cartographer, but the simple layouts will help you navigate the parks and environs. And it’s cool to see the details and secrets mentioned before your visit. There is a separate section for the resorts and restaurants (located outside the parks, as well as a section on Disney Springs. Aaron offers tips on these as well as any backstory or secrets. (You know about John Lennon and the Polynesian, right?) Again, the Trip Advisor ratings are a nice addition. I ran across a few issues with the typesetting and nomenclature that I spoke to Aaron about. To his chagrin, he used editors that weren’t as familiar with Disney. He mentioned that trying to find and correct when the editors fixed something that wasn’t incorrect was a big task. So, the coolest thing about the book is the amount of research Aaron has done and he has the citations and bibliography to prove it! I loved running across the little citation numbers and then flipping to the back to see where the information came from. This is so important and adds so much value to the book for future historians. Also, he got Rob Yeo to design the cover and it’s perfect! With The Wonders of Walt Disney World, Aaron has been able to combine the best of a travel book, a history book and Internet ratings to offer a title that offers something for every one. I wish I’d written this book. Seriously. Are you going to buy The Wonders of Walt Disney World?